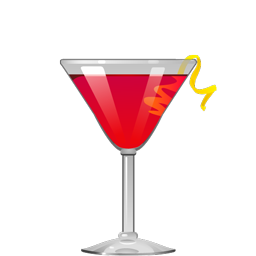 We confess that we usually avoid brightly-colored colored blue, pink and purple cocktails; those candy-like hues have long been the chief indicator that a cocktail would be a syrupy, saccharine confection not worth drinking. On the other hand, there's no denying how lovely it is to see a violet drink in a glass – it looks like something magical, like a mana potion or the juice of some otherworldly fruit. 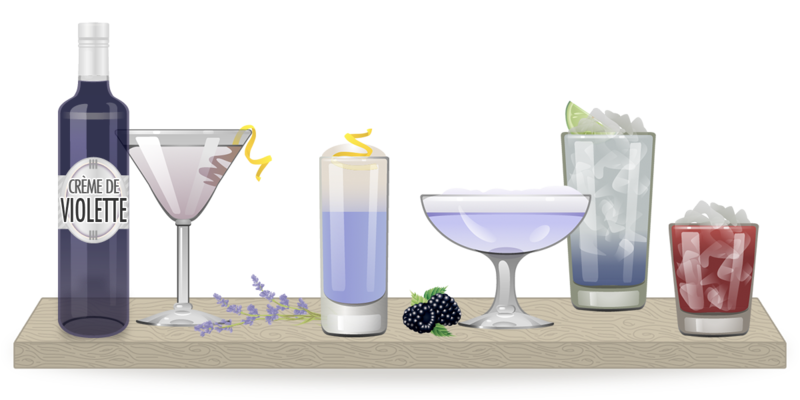 We've found nine solid purple cocktails that were actually good enough to make it in the Cocktail Party app. Out of the dozens of purple drinks we tested, these cocktails are the most balanced and drinkable – and none of them will turn your tongue purple! 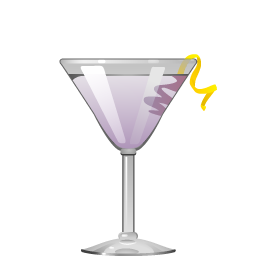 First, we have cocktails with one of our favorite ingredients: Crème de violette. This violet-flower liqueur dates back to the early 19th century, but it disappeared from the US and other countries for much of the 20th century as tastes changed and mixologists turned away from its bracing, perfume-y flavor. The Aviation is one of the loveliest cocktails ever divined: bright, sour, with a color like early dawn. 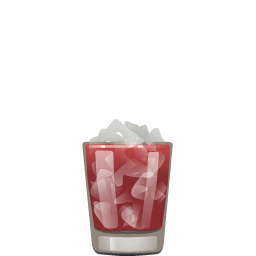 Sub in triple sec for maraschino, and you get the Water Lily, a sweet drink reminiscent of Victorian violet candies. 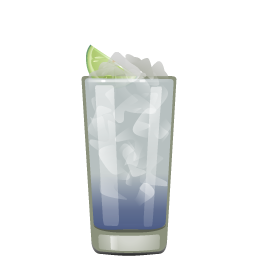 One of our favorite low-proof brunch cocktails is the Stormy Morning, a gorgeous concoction of crème de violette, elderflower liqueur, lime juice, and sparkling wine. We really dig it with a dry, fruit-forward Spanish Cava (although it's lovely with Champagne or Prosecco, too). 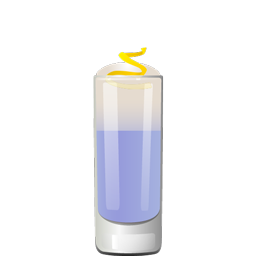 This drink reads a little more blue than purple, but the overall effect is so pretty, like sunlight filtered through rainclouds. 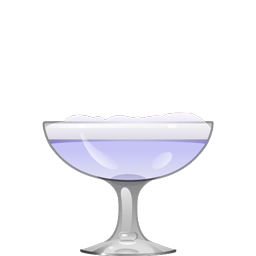 The prettiest purple cocktails, though, are probably the ones with egg whites or cream; the opacity from those ingredients helps the purple color to stand out a bit better. 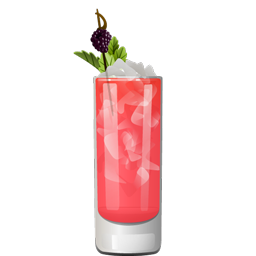 The Eagle's Dream is a perfectly gorgeous little jewel; add some cream and club soda and you've got a Violet Fizz. 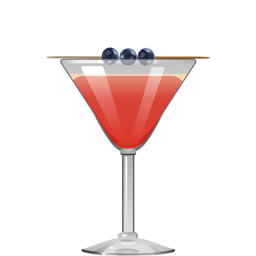 Blueberries can lend a lovely ruby-violet tone to a cocktail; moreso if you eschew the double-strain and let the little bits of blueberry skin stay in the drink. The Imperial Blueberry Fizz gets a little extra color from the raspberry liqueur, while the Blue Dahlia tames the redder tones of blueberry juice with a faint greenish tint from the mint, basil, and lime juice. Blackberries can sometimes produce a similar magenta-purple color – the Daddy Don't Make Dinner is almost as lovely to look at as it is to drink. Sloe gin can also produce a red-violet hue – especially if it's darkened by a brown spirit like overproof demerara rum, like in the Carbonated Piston Slinger.